10 FREE things to do in Paris! Your dream is to spend a couple days in Paris or come back to Paris but you think the city is very expensive..? Did you know that there are many free activities in the capital of France? First of all we recommend you to explore the city in different ways, by foot, by bike, by underground, by bus… From Montmartre to the Champs Elysées, from Pigalle to the Marais, and Belleville to Bercy: you’ll feel the vibrant atmosphere of the Capital city. 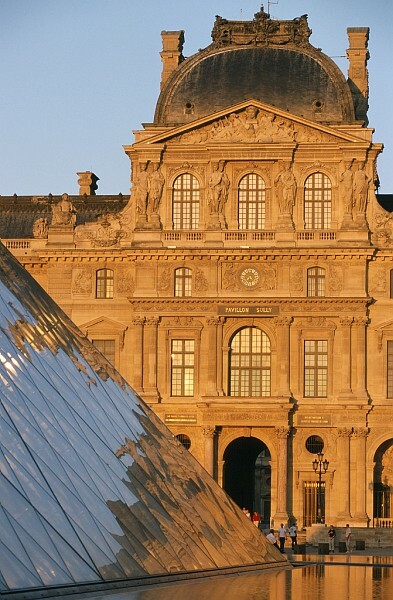 For more budget tips and tricks, check out these Free things to do in Paris for 2014-15, with a difference. The national museums of Paris are FREE every 1st Sunday of the month and every day for citizens of one of the 27 countries of the European Union, under 26 years old. Here are a couple of them: Musée du Louvre, Musée d’Orsay, Musée national de l’Orangerie, Musée national Picasso, Centre Pompidou – Musée national d’art moderne, Musée du Quai Branly… Find the full list on the website of the visitor’s bureau: www.parisinfo.com. Symbolic of Paris’ skyline you cannot leave the city without paying a visit to these two old ladies… The Sacré Coeur basilica of Montmartre and Notre-dame cathedral have such a unique architecture and place in the history of Paris that you will be charmed. These two treasures can be visited for free every day, all year and by everybody. With over 400 parks and gardens, Paris is the greenest capital in Europe… you can see all these areas by underground or by bus and enjoy an authentic moment of peace, relaxation and discovery. In the summer you will often hear music playing from a jazz band, an ethnic group or a classic orchestra. Some of the places you can stroll around are the jardin des Tuileries, jardin des plantes, jardin du Luxembourg, parc des Buttes Chaumont, parc de la Villette… More parks and information can also be found at www.parisinfo.com. Explore the city during a 3 and half hour walking tour with a guide showing you the hidden places and fun facts of Paris. The meeting point is every day at 11am and 1pm in front of the Saint-Michel fountain. More information: www.newparistours.com. 5. Roller in the city! 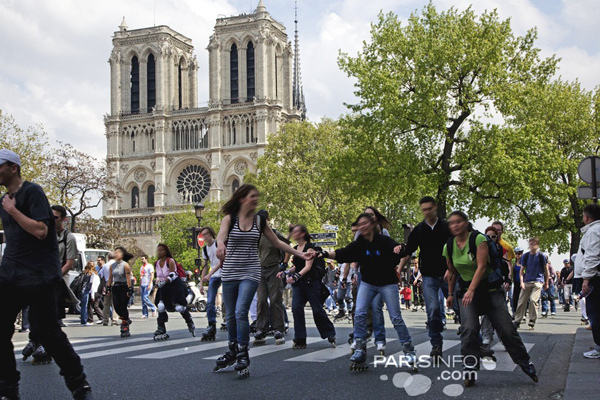 Slip on your roller blades and join the « rando-roller » a very popular tour of Paris were hundreds of participants ride around the city during 2 and a half hours. Every week it’s a different itinerary to discover the city with several stops and a long break in the middle to enjoy the friendly atmosphere! The tour for good riders starts at 9.30pm every Friday at Montparnasse underground station, and for families or beginners it’s at 2.30pm on Sundays at Bastille underground station. Discover an original activity while admiring the wonders of Paris… If you enjoy outdoor activities and gentle navigation this good deal is for you! The boat club of La Villette proposes 45 minutes discovery rowing or canoeing lessons with professional instructors on the canal. 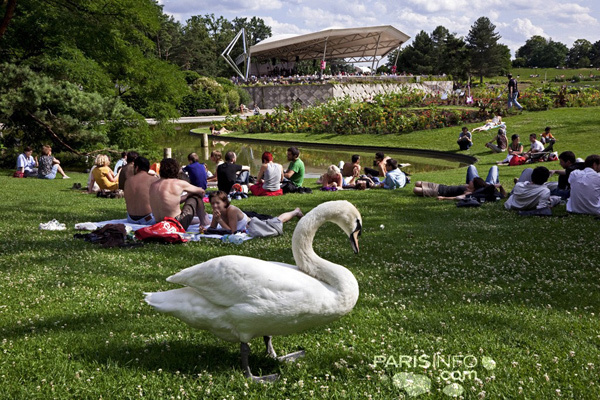 Meet them Saturdays and Sundays from 9 to 12am and from 2 to 5 pm in the Parc de la Villette. During 4 weeks every summer the banks of the Seine River become several kilometres of sandy beach! The streets along the river are closed to all cars and transformed into a beach with sandy areas, palm trees, daybeds and tropical bars. Discover the exciting programme: live music, dance lessons, a pool, games… It’s free and every day from mid-July to mid-August. Every year the Parc de la Villette is invaded by cinema fans for an outdoors cinema festival. During one month, from 25 July to 26 August 2012, a giant screen is set up in the park and you can lie on the grass or rent a chair to relax and enjoy every night a different movie. 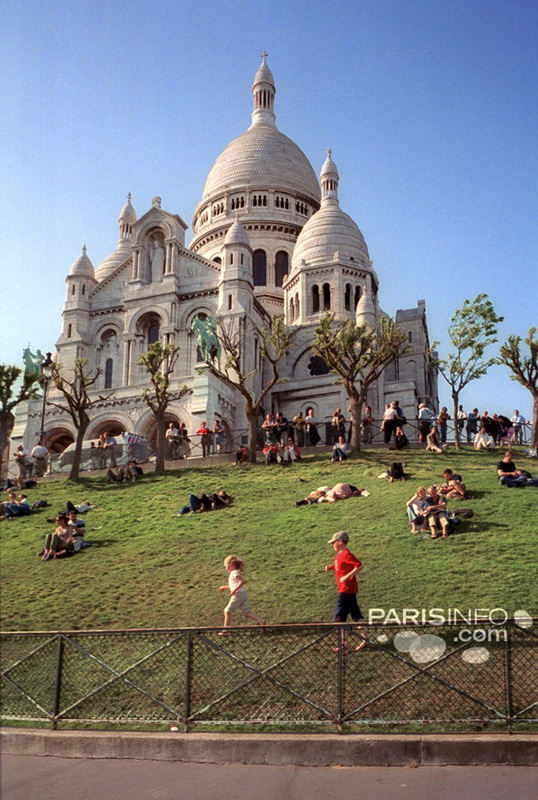 Mix with the Parisians who meet here with their friends to share a picnic and watch unforgettable movies! Every night from May to September when the weather is nice, the garden of the Square Tino Rossi, by the river becomes a dance platform! Salsa, rock, traditional dances, tango… all the specialties are welcome. Beginners can learn tango with professional dancers in this ideal setting every evening (at 7pm, 8pm or 9pm depending on the day). Then all the dancers step in for a great ball that lasts until midnight. Don’t miss this hot spot of the Parisian summer nights! Location: 5th arrondissement, Square Tino Rossi/Quai Saint-Bernard (between Austerlitz train station and Institut du Monde Arabe). More information can be found here. Every year on June 21th the city fills with music from every street corner, from local and international stars to unknown artists there is something for everyone and party everywhere! 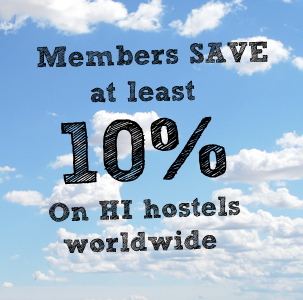 To enjoy at best your stay in the French capital drop your bags in one of the 4 hostels in Paris. They are all located near an underground station so you’ll be sure to experience the real Parisian life and the hostelling friendliness! Paris, France is a fantastic place to travel, your post seems a complete guide to most of us who are crazy to visit Paris but have a small amount of money. excellent read! I am very happy to find this article. 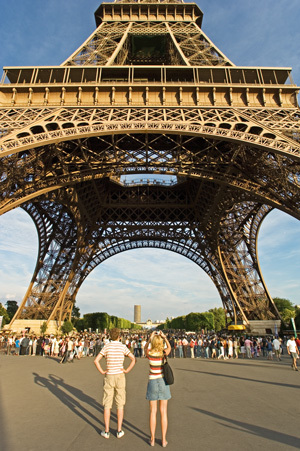 I am planning to visit Paris mid-July 2012 and I can save some money by including these activities into my itinerary. Hi Gwen … that’s fantastic news, so glad you liked the article. Let us know if you try any while you’re there! I am so glad I came across this article! Thanks to these useful hints, I now have a much more beautiful “to see” list for this weekend when I’m going to visit Paris Thanks for sharing this, Stephen! Keeping in mind that Paris is one of the most expensive cities in the world, your article with this unique list is really… precious! Thank you.